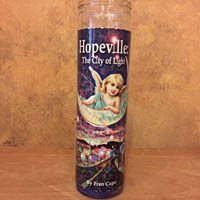 Why am I giving a FREE E-Book Copy of Hopeville:The City of Light to Military members? I believe there is no service higher than what the men and women of our military do when they sacrifice their lives to protect, honor and serve our country. They give up the nightly physical comforts, they give up being with loved ones, they give up having peace of mind on a daily basis, all to safe guard our nation and us. Seriously we are total strangers to them, and they protect us. Think about it folks, some of you won’t even get a glass of water for your spouse! I respect them and am filled with gratitude. As a stand up comic I have performed from Okinawa to South Korea to Long Island to do shows for the military. But after talking to these men and woman I wanted not only to make them laugh but give them something that can feed their souls with that would give them hope, courage, love and happiness. 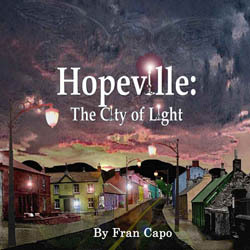 So I decided to give a free e-book copy of my divinely inspired book, (You’ll see why I say divinely inspired when you read the forward – yup I heard voices…well actually only one) Hopeville:The City of Light to all active military members who ask. But just as in life there are some people who will take advantage of a good deed (I hope you are not one of them), I have to make sure that the person asking for the book is truly from the military. And so I ask for your military address so I can send you the e-book. I hope it brings you all the wonderful things you deserve in life. Please feel free to leave a comment or video if you are so inspired after you read it. 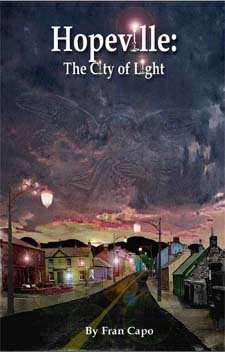 Nothing fills the heart of an author more than to know her book has touched and changed lives.